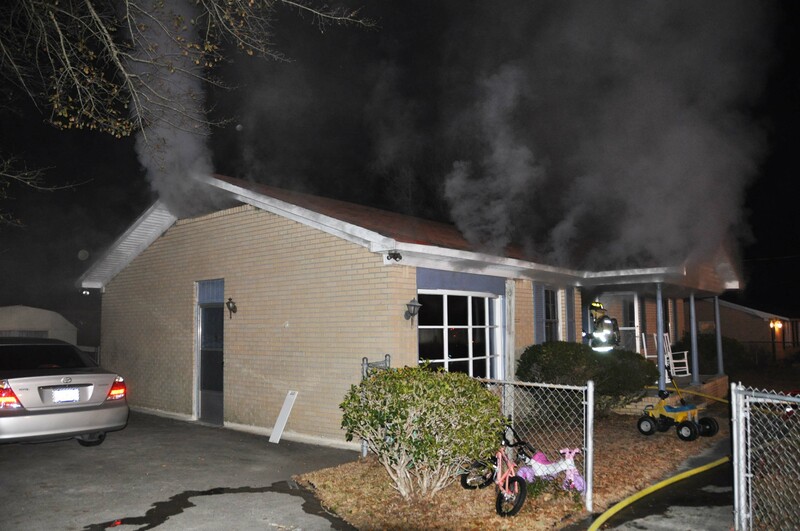 Stations 1, 8, 12, 19, 26 and 27 responded to a structure fire at 505 Gadsden Loop at 0452, Thursday morning 28-January. Engine 1 reported heavy fire conditions in a one story brick veneer structure, with two vehicles on fire. Most of the fire was contained to an enclosed garage on the “D” side of the building, but had entered two rooms of the living area and extended into the attic. The family was awaked by smoke detectors in their home. Click here for more information. Stations 5, 9, 19, 24 and 26 responded to a structure fire at 305 Industrial Road at 20:36, Wednesday evening 27-January. Engine 19 arrived to find heavy smoke coming from the single story brick veneer dwelling. Firefighters deployed two 1-3/4 handlines, finding a working fire in the kitchen located in the center, rear of the structure. The bulk of the fire was knocked down within ten minutes, but had extended to the attic. Click here for more information. 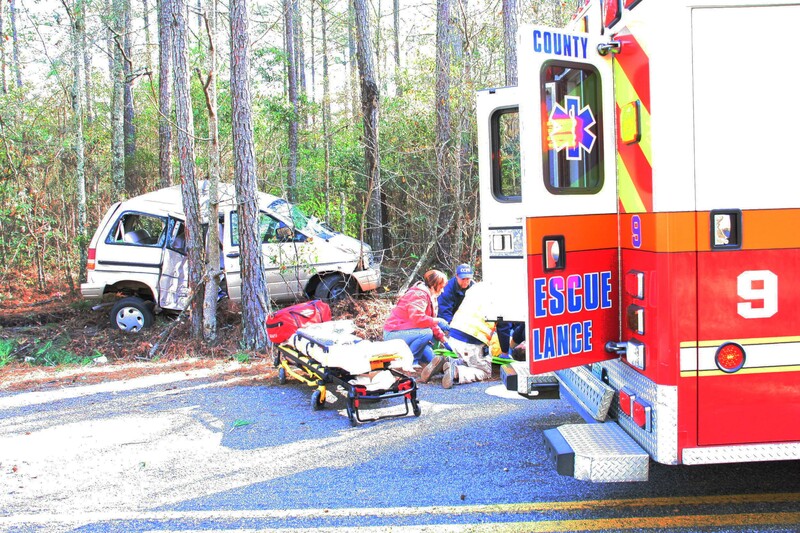 Stations 1, 3, 18, 23, 26 and 27 responded to a multi-fatality MVC at the intersection of US Hwy 601 (Broxton Bridge Highway) and SC Hwy 641 (Confederate Highway) Wednesday morning 27-Janaury at 0713. Apparently a westbound full size van, which was occupied with eight passengers, was traveling on Confederate Highway, when it pulled into the path of an 18 wheeler that was southbound on Broxton Bridge Highway. Click here for more information. Stations 1, 4, 8, 19, 26 and 27 responded to a structure fire at 1312 Peniel Road at 2124 Tuesday evening 26-January. Engine 1 and Battalion 1 arrived to find heavy smoke conditions with fire venting from the rear of what was believed to be a one story ranch style, single family dwelling. A two car garage near the building was also involved. Crews deployed two 1-3/4 handlines, one to the garage to extinguish the fire in the roof and protect the exposure. The second line was extended to the front door. Click here for more information. Fire-Rescue has been notified that on Wednesday 27-January in front of Judge Kinard, Mr. Steven Jeffery Davidson was sentenced for two counts of Arson 2nd, and two counts of Burglary 2nd. On the arson charges he was sentenced to 20 years suspended to service of 10 and 5 years probation. Since this is a violent offense he must do 85%. On the two burglaries he was sentenced to 15 years suspended to 10 years and 5 years probation. All of the charges will run concurrent to each other. 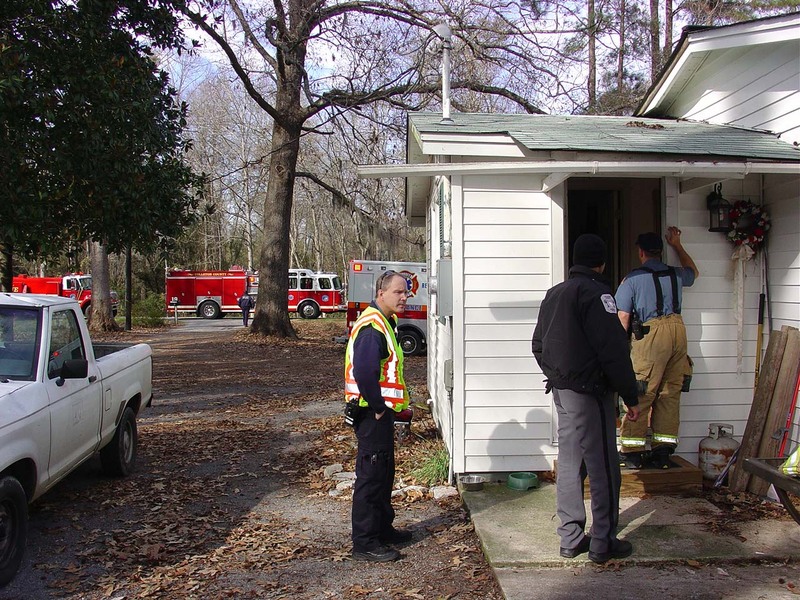 These charges are results of a mobile home fire on May 29, 2009 at 27795 Lowcountry Hwy, and the June 30, 2009 fire at Emmanuel Church at 27771 Lowcountry Hwy, both located in the Town of Smoaks. This was the result of a joint investigation between SLED, Fire-Rescue and the Sheriff’s Office. 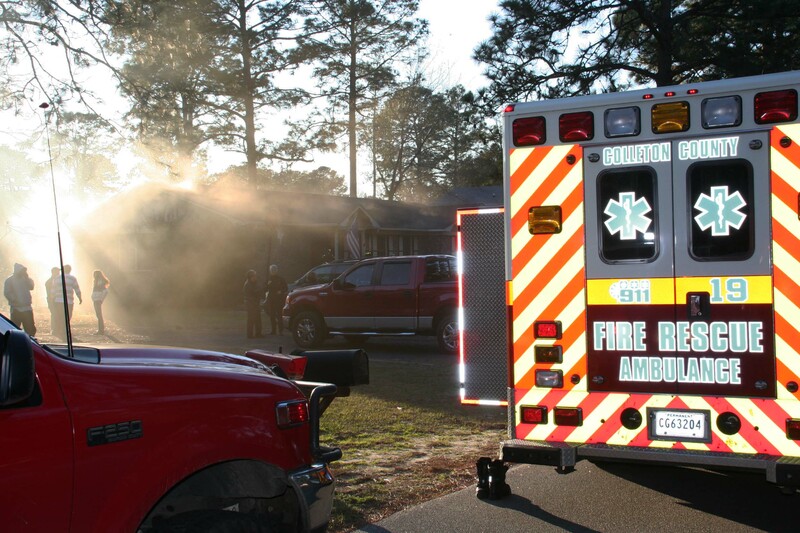 Stations 1, 6, 8, and 13 responded to a vehicle fire at 562 Roadside Drive at 16:27, Monday 25-January. The caller advised the vehicle was fully involved and had spread to her residence while units were still enroute. The call was upgraded to a structure fire and a full structural assignment was dispatched. Engine 8 was the first to arrive and found the vehicle fully involved with extension to an overhead power line and tree. Click here for more information. 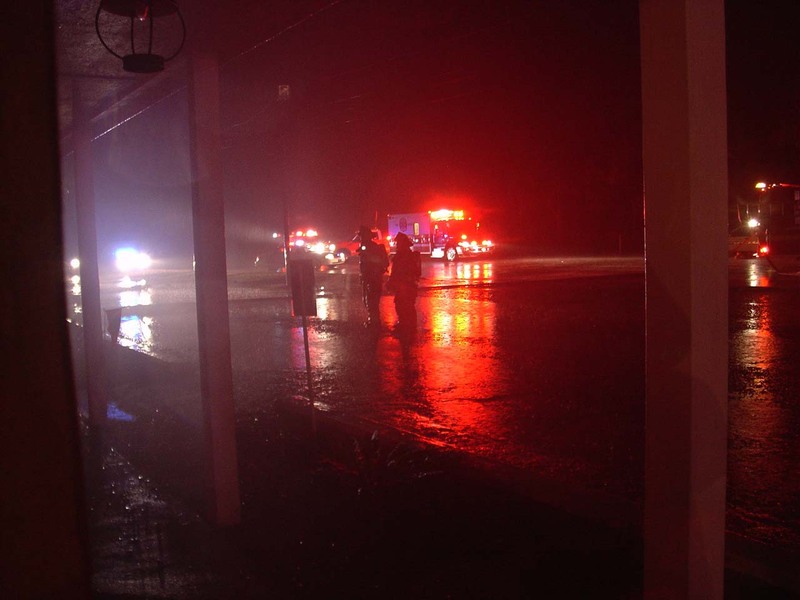 Station 27 responded as mutual aid to the City of Walterboro Public Safety Department in 1000 block of South Jefferies Blvd at the Silhouette Café at 0138, Monday 25-Janaury. A State Trooper drove by the business and noticed smoke coming from the building. City Fire units arrived to find heavy smoke conditions with fire visible from the rear of the structure. The incident occurred during a fierce thunderstorm producing high winds and blinding rain. Click here for more information. Stations 2, 9, 11 and 19 responded to a structure fire at 25 Garners Corner Court east of Cottageville, Sunday morning 24-January at 0638. 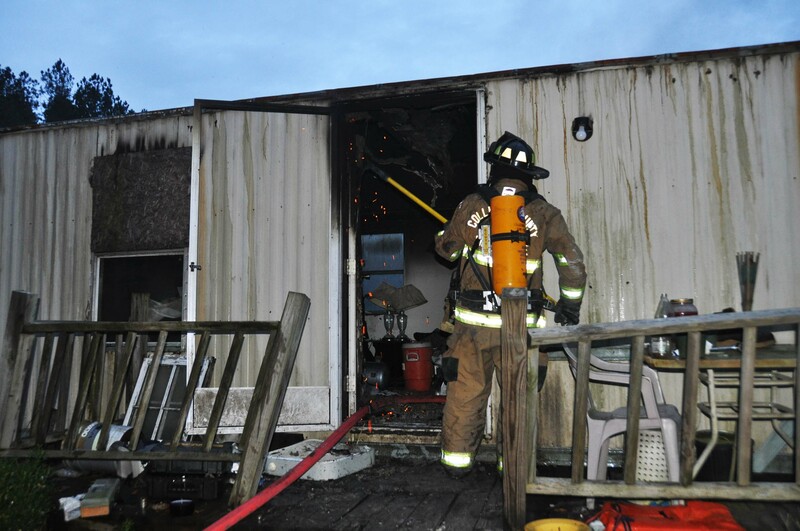 On arrival, Engine 9 reported heavy fire conditions from the “D” side of the singlewide mobile home with thick black smoke coming from the building. The crew made entry with one 1-3/4 handline and was able to knock the fire down in the two bedrooms on that end of the dwelling. Click here for more information. Stations 7,18 and 26 responded to a high speed two vehicle MVC on Johnsville Road at the intersection of Yorkshire Lane at 2147, Wednesday evening 20-Jan. According to witness statements a northbound Honda Accord was attempting to pass an older model Thunderbird at an intersection, when the Thunderbird attempted to make a left turn on to Yorkshire Lane.The Honda collided with the Thunderbird in the intersection causing extensive damage to the Thunderbird. Click here for more information. 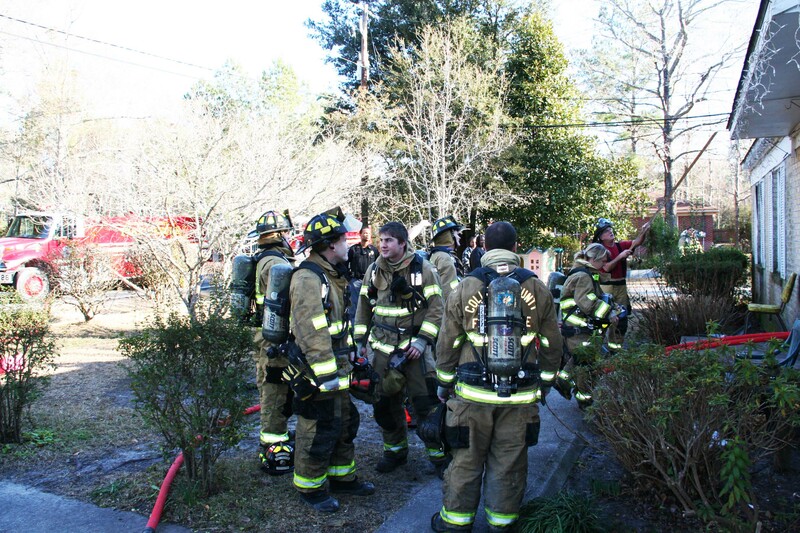 Stations 1, 19, 26 and 27 responded to a house fire at 330 Deloach Ave at 0855 Monday morning 18-January. Medic 27 and Battalion 1 arrived to report light smoke conditions in the residence. Engine 1 arrived shortly thereafter. 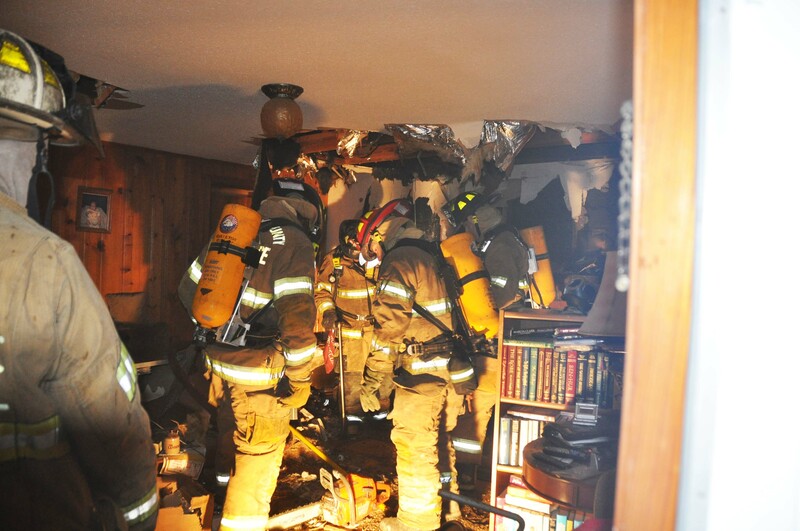 A search of the residence found the heating unit inside an interior closet had overheated filling the home with smoke. There was only minor fire damage to the unit. Firefighters used one PPV fan to ventilate the structure. Click here for more information. Congratulations to Station 23 Captain Doug Mixson, Jr. and his wife on the birth of their daughter, Lauren Olivia Mixson, who was born Wednesday evening (1/13) at 6:58 pm, weighing 8lbs 3oz. and 20 inches long. Stations 4, 7, 17 and 18 responded to a structure fire across from 2232 Sunrise Road east of the Town of Smoaks, Wednesday afternoon 13-January at 1613. Engine 7 originally responded to a woods fire at the location after a person stopped by the station to report the fire. Once on the scene, firefighters discovered the building burning. Most of the structure had already collapsed. Click here for more info. Stations 1, 9, 19 and 18 responded to a Hazardous Materials incident at 473 Green Pond Highway Tuesday afternoon 12-Janaury at 1221. 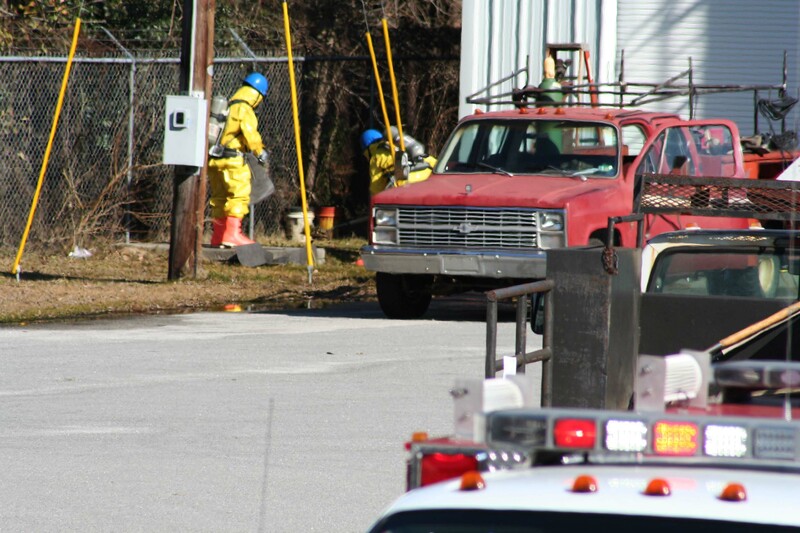 Engine 1 was originally dispatched to a possible ammonia leak at the Ice House located on the property. Engine 1 discovered a leaking valve on an 800 gallon anhydrous ammonia tank that was under repair. Crews evacuated the immediate area and requested additional units and the Haz Mat Team. Click here for more information. 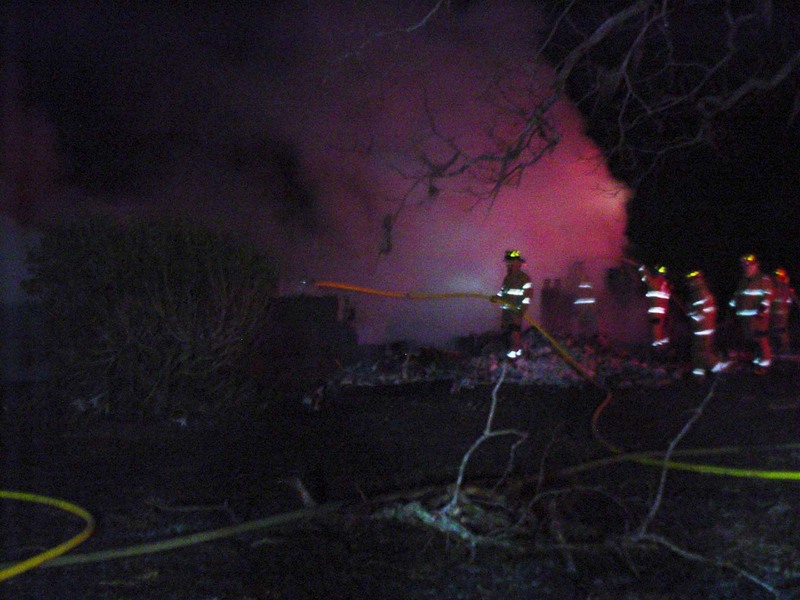 Stations 2, 9, 11 and 19 responded to a structure fire at 10793 Cottageville Highway at 1026, Tuesday 12-Janaury. 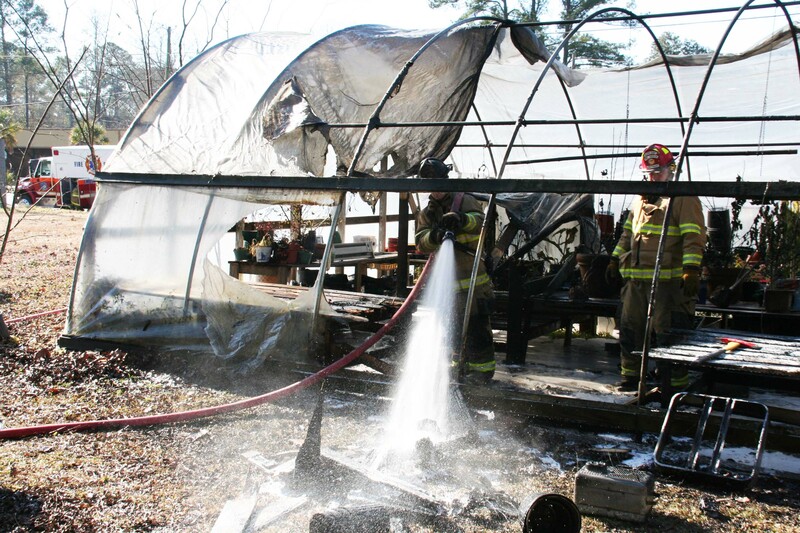 The fire occurred in a greenhouse at Harry’s Greenhouses, a nursery located in the center of Cottageville. Engine 9 arrived to find moderate smoke conditions, however the greenhouse was a steel framed structure covered in plastic sheeting. 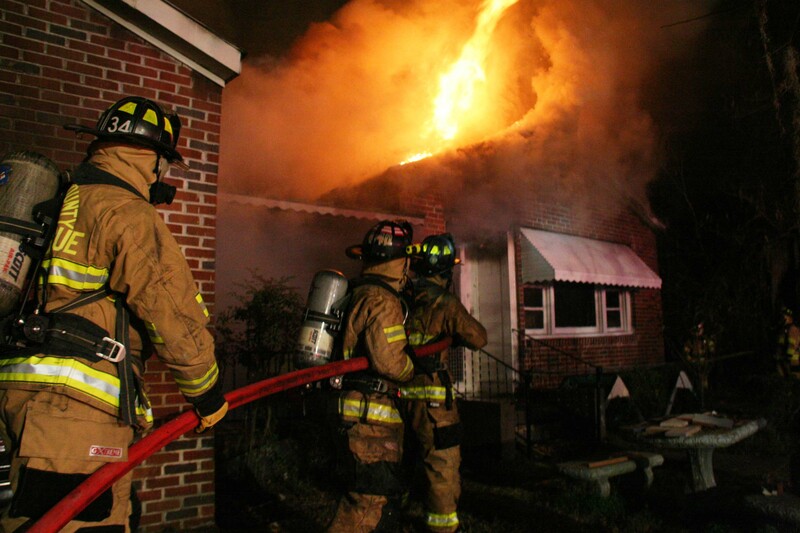 The fire possibly originated near a heating unit...click here for more information. Stations 1, 2, 5, 9 and 11 responded to a house fire at 7124 Pearce Road near the county line, with mutual aid received from the Old Fort and Town of Ridgeville Fire Departments. The initial 9-1-1 call reported smoke coming from under the residence. Engine 9 and Medic 9 arrived to find light smoke coming from under the building and from the eaves. The homeowner was using a garden hose in attempts to extinguish a fire in the wall next to the fire place. Click here for more info. A two alarm structure fire brought Stations 1, 6, 9, 12, 19, 24, 26 and 27 to 675 Barracada Road at 2349, Monday 11-January. First arriving firefighters reported the building was 25% involved, with flames through the roof. Engine 19 deployed two 1-3/4 handlines and received his water supply from tenders. Firefighters had to break into the building through the front door to conduct a primary search and begin the firefighting effort. Click here for more information. Stations 1, 19, 22 and 24 responded to a fire in a single story home at 85 Sheldon Court at 2123, Monday evening 11-January. Engine 1 arrived to find smoke coming from the eves of the building. A search of the structure found smoke under the house and in the attic, with light smoke in the living area. A thermal imager was utilized and found heat signatures in a wall near the center of the home. Click here for more information. Stations 1, 9, 19, 26 and 27 responded to a MCI as a result of a high speed MVC on I-95 at the 56 mile marker southbound, Sunday evening 10-January at 2037. A full size Ford Van was traveling southbound when according to the driver, it apparently dropped off of the shoulder of the highway. The driver over corrected causing the vehicle to flip over three times. 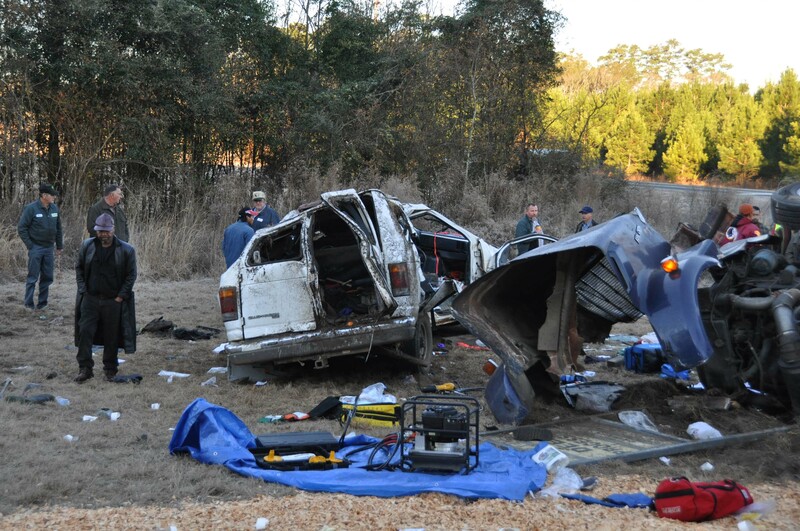 None of the 13 passengers inside the van were wearing seatbelts. The 20 year driver was ejected and the van landed on top of him. Click here for more information. 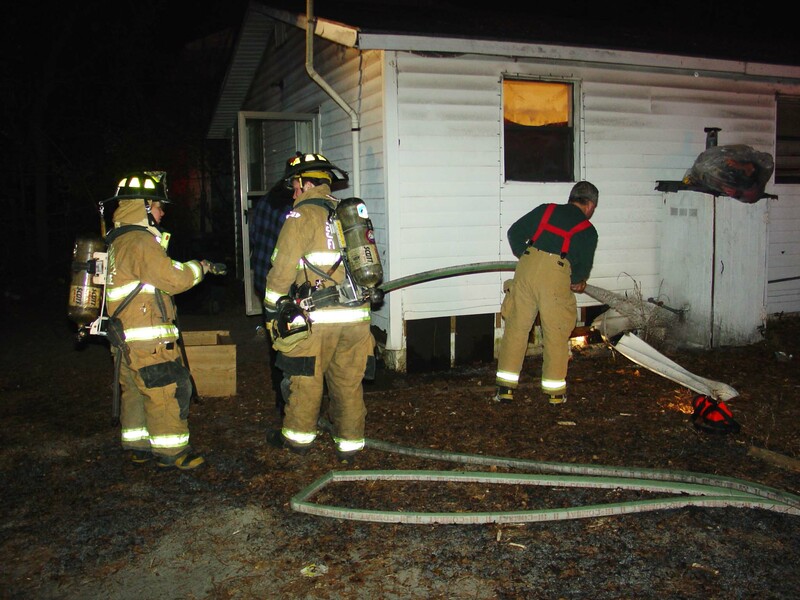 Station # 27 assisted Walterboro Public Safety crews with a house fire at 302 Verdier Street at 1752 Saturday evening 9-January. The caller reported smoke coming from a residence at this location. City Engine 1 found light smoke coming the eves of the small single family dwelling. 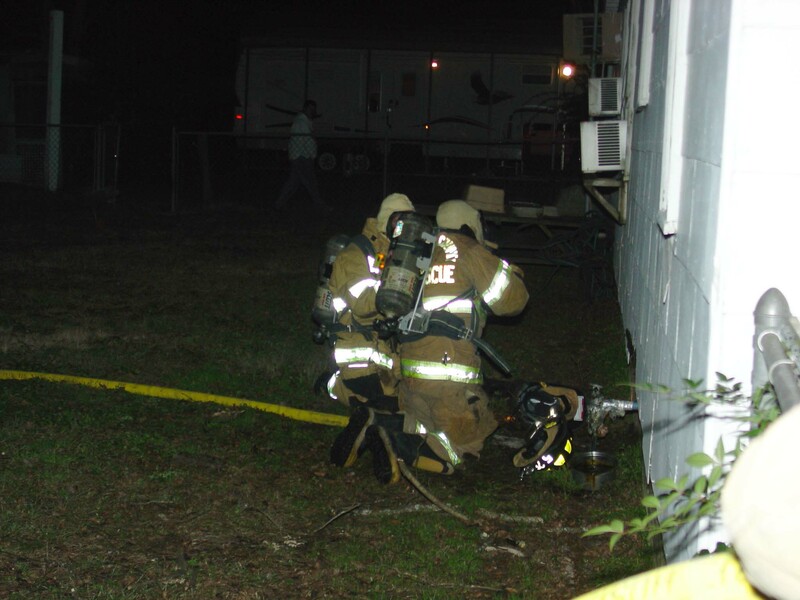 An 1-3/4 handline was deployed to the structure while personnel searched for the cause of the smoke. City and County firefighters found the fire inside an exterior wall near the “A”/”D” corner. Click here for more information. 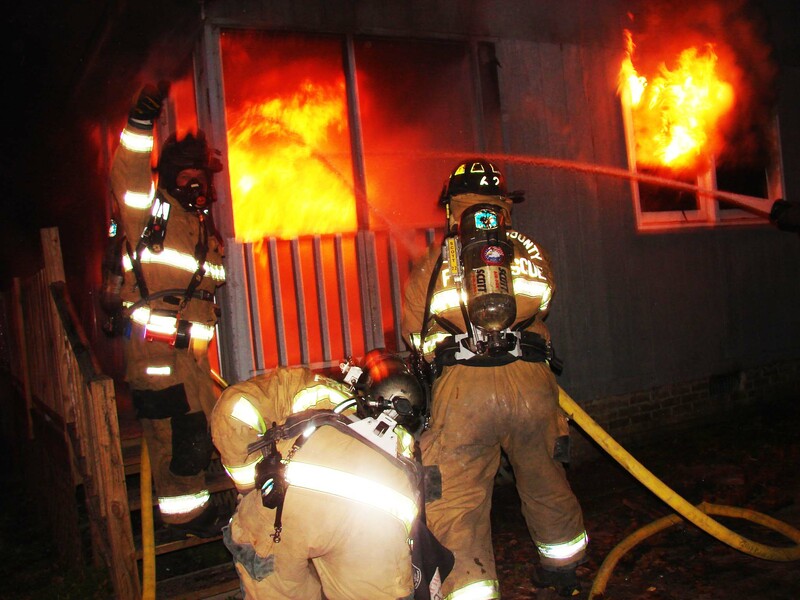 Stations 1, 9, 19 and 26 responded to a structure fire at 4908 Cottageville Highway at 1348, Saturday 9-January. Engine and Medic 19 arrived to find light smoke inside the residence. After searching the residence, firefighters found the clothes dryer motor had caught fire and damaged a wall in the utility room. There was no extension. Crews unplugged the appliance and removed the clothes. A check of the wall revealed no significant fire damage. Click here for more information. 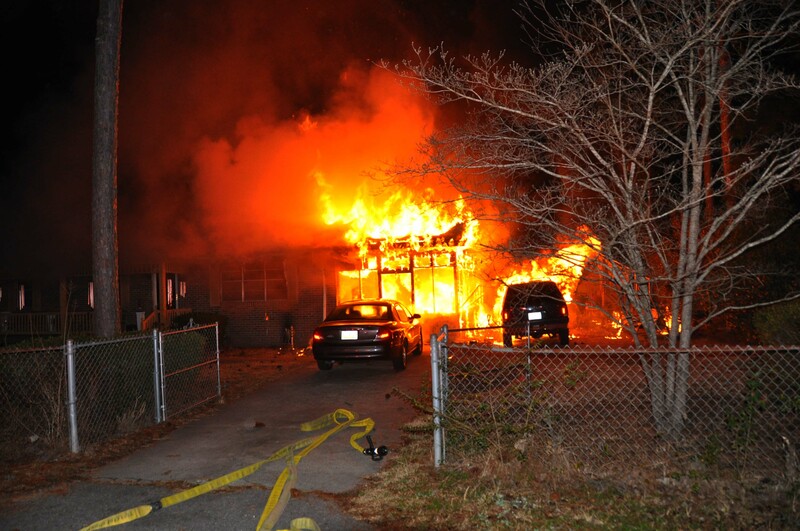 Stations 5, 7, 17 and 26 responded to a structure fire at 597 Bent Gate Lane at 0341, Saturday morning 9-January. Engine 17 reported the building was completely destroyed on their arrival and a small woods fire was burning as a result of the building fire. The fire had obviously been burning for quite some time before it was discovered. 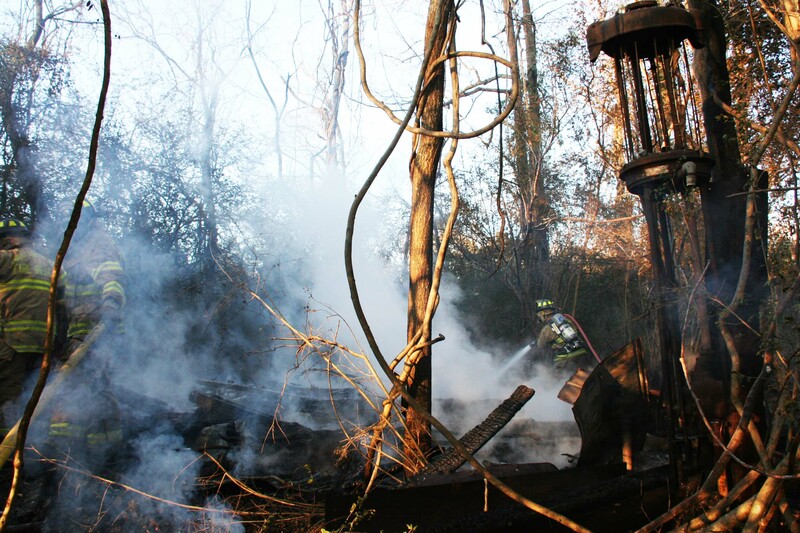 Engine 17 deployed an 1-3/4 handline to extinguish the remaining debris, while Engine 5 was directed to handle the woods fire. Click here for more information. Stations 7, 17, 18 and 23 responded to a house fire at 402 New Street in the Town of Smoaks at 1908, Friday evening 8-January. Engine 7 arrived within minutes to find smoke coming from under the single family wood frame dwelling. A neighbor was using a garden hose to spray water under the home through a vent opening while other neighbors were removing furnishing from the house. A quick assessment revealed light smoke inside the home with moderate smoke coming from under the structure. Click here for more info. 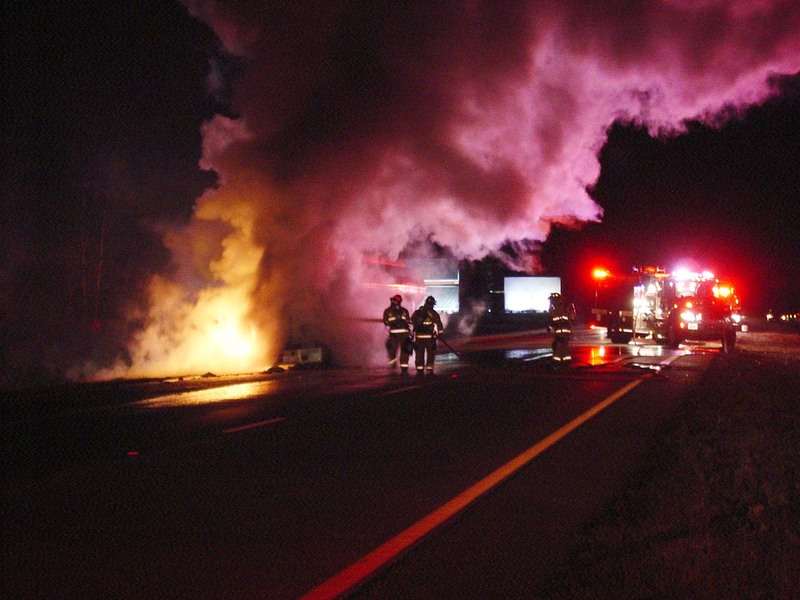 Stations 1, 19, 26 and 27 responded to a gasoline tanker fire on I-95 at the 58 mile marker southbound at 0130 Tuesday morning 5-January. Engine 26 arrived to find the cab and chassis portion fully involved impinging on the trailer. Engine 26 used the deck gun to knock down the fire and deployed two 1-3/4 handlines to extinguish the truck. Tender 26 supplied Engine 26. ARFF 19 and the Foam Trailer from Station # 27 staged at Exit 57 (Bells Highway), but were not needed. Click here for more information. Stations 1, 19 and 26 responded to a structure fire at 97 Otis Road at 1606 Monday afternoon 4-January. The fire which originated on the stove, burned the kitchen cabinets and then extended to the attic. Firefighters quickly extinguished the fire in the kitchen, but then discovered heavy fire conditions in the attic above the kitchen. Crews worked with an 1-3/4 handline to knock down the flames while additional firefighters ventilated the roof. Click here for additional information. Stations 1, 9, 18, 19 and 26 responded to multiple, multi-vehicle accidents on I-95 beginning at 1458 on Sunday afternoon 3-January. 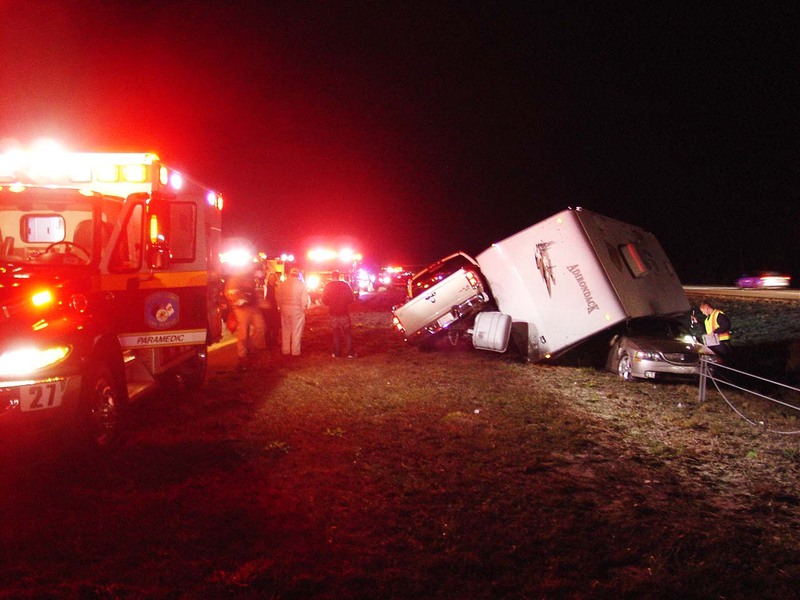 The first accident occurred at the 48 mile marker northbound involving four vehicles. South and Northbound traffic was stop and go most of the day, still heavy with holiday travelers. 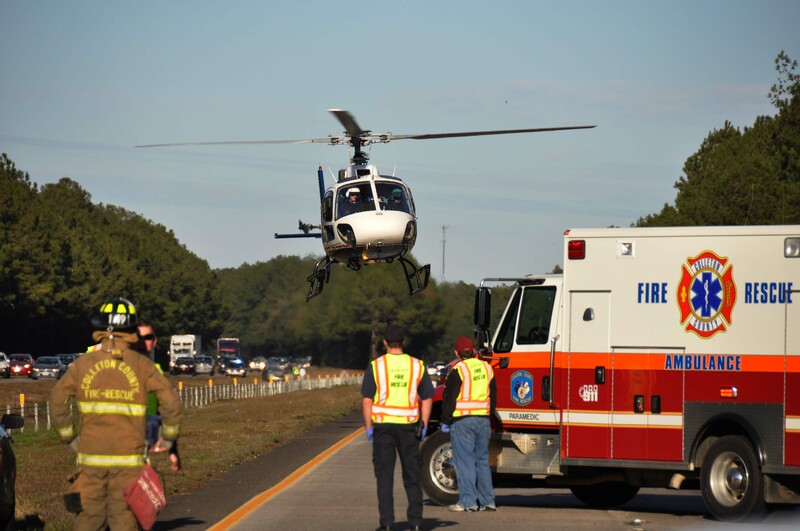 Traffic slowed near the 48 mile marker causing vehicles to nearly stop, when a northbound car rear ended a Jeep... click here for more information. Stations 9 and 19 responded to a single vehicle high speed MVC in the 4100 block of Coolers Dairy Road Sunday afternoon 3-Jan at 1410. A westbound minivan left the roadway, over-corrected and entered the woods on the opposite side of the road striking several trees. The van received heavy damage. 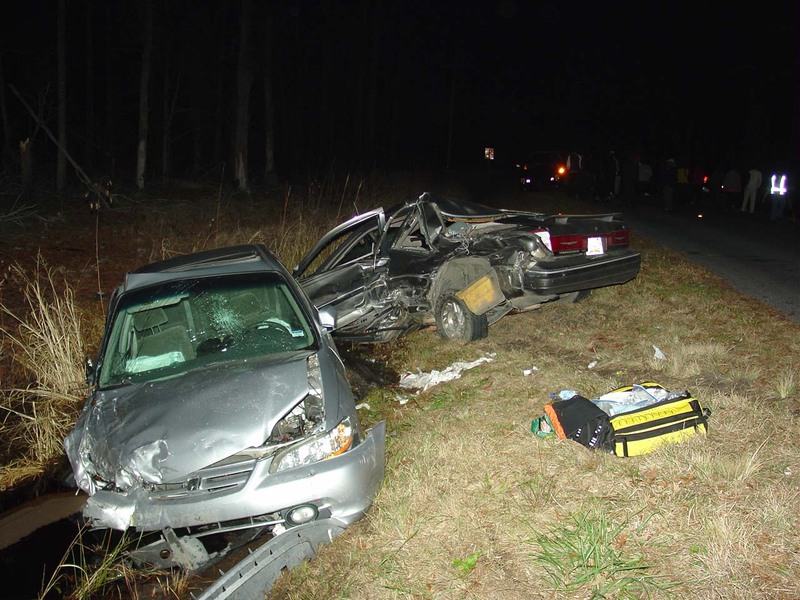 The unrestrained driver was ejected from the vehicle and found conscious in the roadway. She suffered multiple traumatic injuries. Click here for more info. 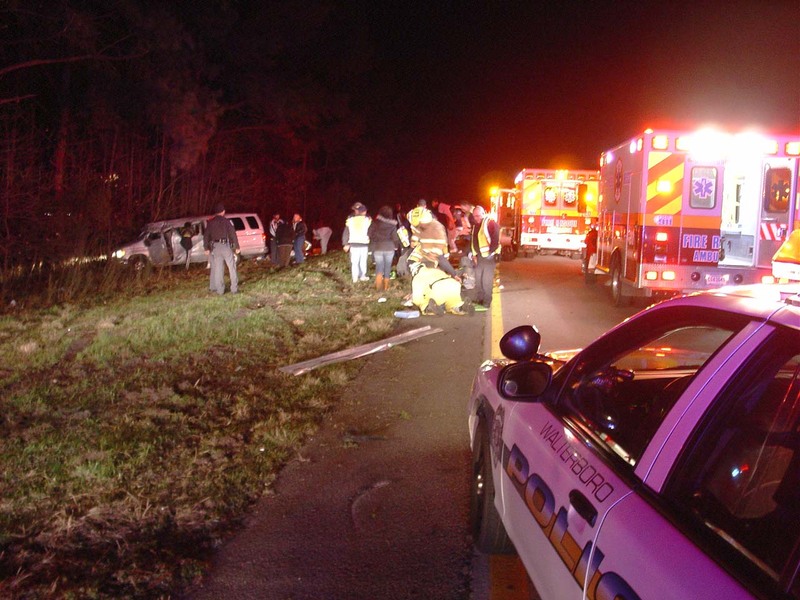 Stations 1 and 27 responded to a two vehicle MVC on I-95 at the 50 mile marker southbound at 1815 Saturday evening 2-January. A southbound pick-up truck towing a camper suffered a blowout causing the driver to lose control and strike a another southbound car. Both vehicles went into the median resulting in the camper rolling on top of the small car that became pinned between the cable barrier and the camper. The pick-up truck was jack knifed. Click here for more information.